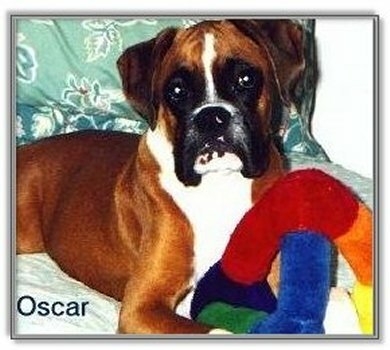 Jack was a very special Boxer and a brandnew bloodline to Australia. 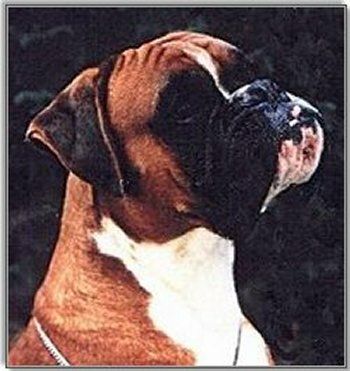 Although bred in the UK by Mrs Pamela Wilkinson (Evesham) he is directly bred from Dutch and Spanish bloodlines. His Grandsires/Gt. 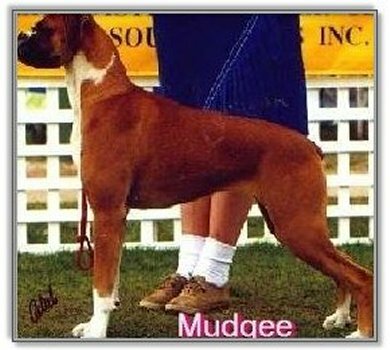 Grandsires include the famous Spanish Champion Janos De Loermo (Imp UK/Spain) of Lynpine, Claudio Von Haus Roxanna Of Lynpine (Imp UK/Spain) Abgar Von Bernmariek of Marbelton (Imp Holland). Also the most famous boxer of all time International Champion Tabor Von Worikben. Unfortunately Vege was camera shy, and I only have baby photos. 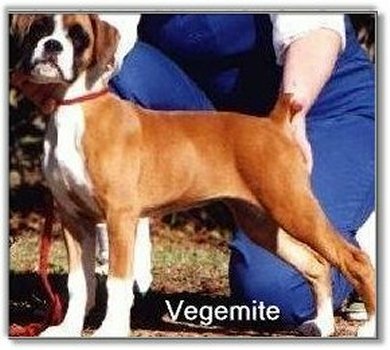 Vegemite is Melodys Granddaughter and Matriarch of VanillaIce Boxers, a good show winner and excellent Mother, Dam of Australian Export VanillaIce A Touch O Dutch (Export Aust). Exported to Hawaii Then Onto Houston Texas United States. Aust Ch Moljon Surprise Packet of Marbelton (Imp UK). Chanelles elegance and showmanship has gone through the lines to her Grand Daughter.